Listed below are all the official No-List systems released by Mark along with simplified instructions. I have posted them in order of release, newest last. June 22, 2016 at 2:53 | Michael B. 1. Write down three tasks. 2. Do the tasks in any order, in rotation, until two are finished. 3. Add two (so there are three tasks again). 4. Repeat from step 2 (finish two, add two) ad infinitum. June 22, 2016 at 2:54 | Michael B. 2. Do two (in order). 4. Repeat from step 2 (do two, add two) ad infinitum. June 22, 2016 at 2:55 | Michael B. 1. Write down a task you want to do. 2. Ask yourself "Is there anything I want to do first?" 3. Write that down on the next line. 4. Repeat the process until you get no answer to the question. 5. Do the end task on the list. 6. Before you do the next task (i.e. the last active task remaining on the list), ask the question again and repeat as above until you get no answer to the question. 7. Continue this process until there are no active tasks left on the list. Write down another task you want to do and start the whole process again. 1) It's perfectly ok for there to be no answer to the question when you've written down the first task. In this case just do the first task and then write down another one. If this results in writing down tasks one by one and doing them immediately, that's fine. 2) You can build up to a difficult task by entering it as the first task and then gradually working back to it. This is quite an effective technique for getting moving on something. When deciding what to write as your new first task, it's a good thing (though not compulsory) to select relatively difficult and/or important tasks. The more trivial tasks will get done as "fillers". 3) It's good to end the working day with no tasks remaining on your list. So try and select the tasks you write down towards the end of the day with this in mind. 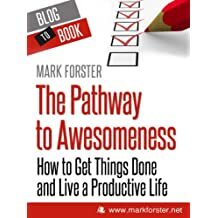 A good method with "No List" FVP is to start the list initially with the three or four major tasks/projects that you want to take action on during the day. You need to make sure that they are in the reverse order to that in which you want to do them. Doing this gives a lot of focus to the day. It ensures that the major projects get done, while routine stuff fits into the gaps between them. 1. Work FVP as normal (with or without a question according to preference). 2. Aim to action every item on the list by the end of the day. 3. Construct the list afresh each day. 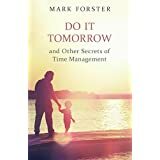 Since the aim is to do the lot, it is best not to make the list too long, especially as you can always add tasks during the day. June 22, 2016 at 2:56 | Michael B. 1. Write a list of 5 tasks. 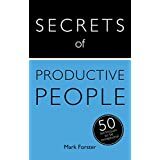 Here's a simple variation on the 5T method in "The Secrets of Productive People". I haven't been using it long so it's too early to report back on it in detail, but it seems to be a flexible and easy-to-use "no list" system. I'm describing it here in case anyone else would like to have a go at it. 2. Do the tasks in any order. 3. Do not add or re-enter any tasks to the list until you have only one task left. 4. When you have only one task left, add four further tasks to the list. 5. Earlier tasks may be re-entered at this stage, but count towards the four. June 22, 2016 at 2:58 | Michael B. 1. Write down as many tasks as you want—but they must be done in the order they are written. 2. You can add and re-enter tasks at any time. 3. You can reschedule by crossing tasks out. 4. Experiencing resistance to the list should always be taken as a sign that rescheduling is needed. The idea of this is to have a short list which takes you up to the next time horizon. What that is is up to you to decide. I am trying to keep my list quite short (currently 9 tasks including writing this). But there is no set length—and it will vary quite a bit. 1. Write down as many tasks as you want—but only enough to take you up to your next time horizon. 2. Work on them in any order. 3. You can add, delete and re-enter tasks at any time. 4. If you experience resistance to the list delete any tasks which you think might be causing the resistance. June 22, 2016 at 2:59 | Michael B. 1. Write down the next thing you are going to do before you do it. 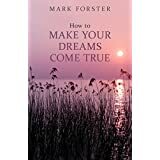 The act of writing down the next action forces you to make a conscious decision about what to do, rather than just drift into something. Note that all these things relate to what matters at the moment. Your concern is with what you are actually involved in. At the end of the day you will have filled the day with stuff that is actually relevant and is within your capabilities to do in the time available. Your brain therefore will be concentrated on the immediate reality of what is in your life, rather than diffused over a vast sea of possibilies, most of which will never happen. June 23, 2016 at 22:18 | Michael B. 1. Write a task down and do it immediately. This is the only way a task can be entered on the list. You can only do this when you are on the last page of the list. 2. If it is a recurrent task or one that needs more work it can be crossed out once it has been worked on and then re-entered at the end of the list. 3. The list is worked in the normal Autofocus fashion, that is to say you circulate through one page at a time doing as much work as you want to on the tasks on the page. Once you have worked on a task it is crossed out and re-entered as in rule 2. 4. Once a task has been put on the list it remains there until it is no longer relevant or until it is removed by the dismissal process. 5. The dismissal process is different from Autofocus. There is no obligation to do any tasks when you circulate to a page, but if no tasks are done on a page during the course of a day then the whole page is dismissed. This is controlled by writing at the top of each page (except the last page) at the beginning of the day the number of active tasks on that page, and checking whether the same number of tasks remain at the end of the day. In practice this only needs to be done for pages that stand some chance of being dismissed. 6. A page is dismissed by drawing a single line through the page. If there are no active tasks on earlier pages, then I cross out the page with a double line. Dismissed pages are not included when you circulate through the pages of the list. 7. A dismissed task can only be re-instated by treating it as a new task as in rule 1. Why write it down when you have to do it immediately? Andreas has given an excellent answer, but in addition the main reason is to make you think about what you are going to do next rather than just drifting into it. Is there an easy alternative to counting up the tasks as described in Rule 5? It's nice to be able to flip through the pages and quickly see which have not been activated yet today. I'm wondering about crossing out new tasks after working on them but not completing them. I haven't tried it personally, but since an uncompleted task would remain on the same page you would only be able to move onto a new page by completing, or leaving until the next round, all the incomplete tasks. June 23, 2016 at 22:29 | Michael B. 5. At the start of each day’s work all pages which were filled with tasks more than one day ago are dismissed, together with all the tasks remaining on them. This is controlled by dating each page as soon as it has been completely filled with tasks. For example a page which was filled with tasks on March 29th is dismissed at the start of work on March 31st. 8. When a new task is entered at the end of the list you are only allowed to move forward and can no longer circulate through the page. This means that entering new tasks becomes a separate phase from working on old tasks. You can enter as many new tasks as you like in accordance with Rule 1, but once you have entered all you want you return to the beginning of the active list. 9. At the beginning of each day you start by dismissing any pages under Rule 5, then proceed from the beginning of the first remaining page. June 23, 2016 at 22:45 | Michael B. 1. Tasks can only be put on the list by writing them down and taking action on them immediately. 2. If a task still needs work done on it today but you're done for now, cross it out and rewrite it at the end of the list. Otherwise, cross it out. 3. Before you can enter a new task you must take action on any active tasks before the last crossing out. June 23, 2016 at 22:48 | Michael B. Just as in the May 9 System entry for new tasks is without a buffer, ie. a task is done immediately after it is entered on the list. 1. There is an entry phase and a follow-up phase. 2. In the entry phase you can enter as many new tasks as you like in succession, re-entering them as necessary at the end of the list. During the entry phase this will always be on the following line. 3. Tasks are re-entered if they are likely to be required again the same day, regardless of whether there is any work to be done on them at the moment. 4. In the follow-up phase all open tasks above the last crossed out task are worked on again in the order they are written and re-entered at the end of the list if necessary. When all the tasks have been worked on you go back to the entry phase. 5. If there is no work to be done in a task (e.g. no more email has arrived) it is crossed out and re-entered. The list should be started afresh each day. June 23, 2016 at 22:49 | Michael B. 2. You can only take action on the last active task on the list. 3. A task can only be re-entered if it has not been finished. • The last active task on the list is the one that has just been re-entered. June 23, 2016 at 22:51 | Michael B. 1. The list is valid for one day only. The next day a new list is started from scratch. 2. Tasks can only be entered on the list by being done. 3. Tasks are re-entered at the end of the list if they are going to be needed again the same day (i.e. if there is still work to be done on them or they will recur again that day). 4. When you have entered as many new tasks as you want to, you scan the list from the beginning and work on any tasks that you want to. 5. When you reach the end of the list you can add new tasks again as in 2 above. When you have added as many as you want you start scanning again from the beginning of the list. 6. You should not feed the list from a larger list. Reminders of things that you intend to do at a specific time or date are fine. June 23, 2016 at 22:53 | Michael B. 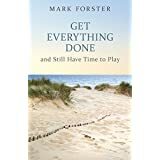 If, I asked myself, a task can only get onto the list by being done, then perhaps it should only be able to get off the list by not being done. 1. Whenever a task on the list has been worked on it must be re-entered, whether or not it is going to be needed again. 2. There is no compulsion to work on any re-entered task. 3. When you come to a re-entered task and for any reason do not work on it, that task is deleted. June 23, 2016 at 22:55 | Michael B.